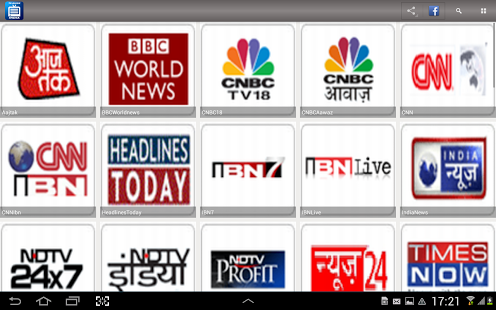 INDIAN TV GUIDE:-The most comprehensive app in Google Play for Indian user to know schedules of TV Channels. Our aim is that user never miss program and we are here to remind you about them. •	Over 300 TV Channels schedules and different regional languages in India. •	Create your favorites list of programs in TV GUIDE INDIA and set reminders for them directly from favorites option. •	Listing up to 5 days in Advance. •	Individual description of shows and movies. •	IMDB search for different movies. •	Works on all smart Phones and Tablet. •	Set as many reminders and notification for your different program. •	Highest TRP program listed. •	Search for your favorite channels from the search option. 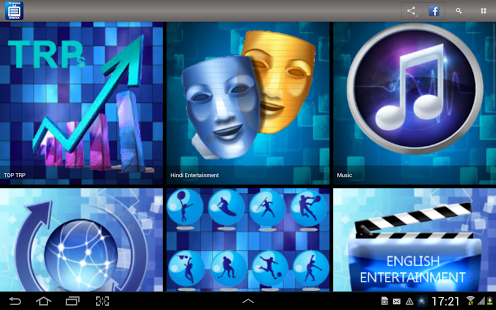 So, install Indian TV Guide app and never miss your favorite TV Programs. ENJOY…..
1. All timings are provided in Indian standard Time (GMT +5:30) and features only channels that are provided that are aired in India. Instead of giving us bad reviews plz. Our emails are always monitored and we will try our best to resolve issue as soon as possible. It supports all android device from 2.1+.We have tested it on Many devices and Tablets like Samsung Galaxy s,s2,s3,s4,note2,note800.xperia ,Micromax ,htc series and many more. If you have any problem regarding your device please give your feedback at info@appspundit.com, Please Dont give us bad rating.